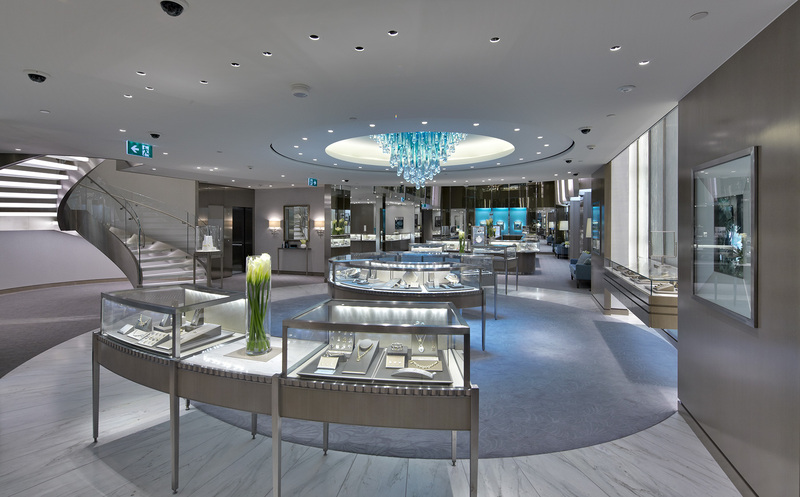 We’ve been all around the world for Tiffany & Co., assisting them with a wide variety of services for build-outs in 18 locations in the United States and 20 internationally. 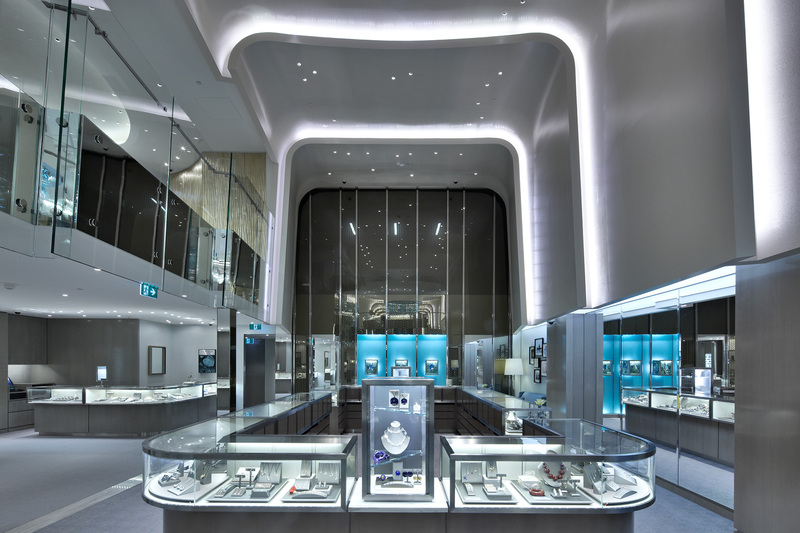 Our 8,000-sf Melbourne, Australia flagship renovation marked a dramatic new direction for the famed jeweler. 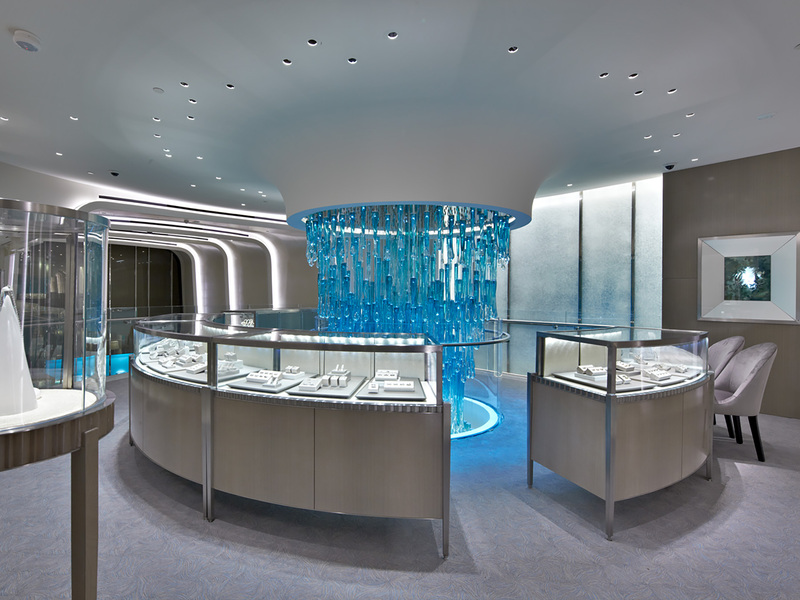 Working with the Tiffany design team, we interpreted Tiffany standards for the two-story location, creating a design marked by cool elegance and a subtle palette highlighted by Tiffany blue. 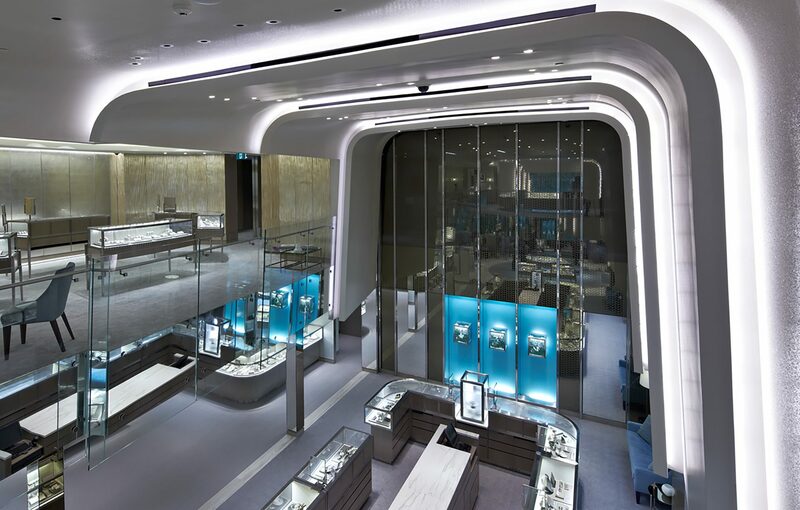 Shoppers enter the double-height space through a stunning, out-scaled façade of carved, edge-lit glass; a spare center aisle flanked by display cases leads them to a metal-wrapped mezzanine pierced by an enormous hanging-crystal chandelier in Tiffany blue. Pale walls, of frit-formed glass, were edged with thin strips of lighting for a glamorous, theatrical effect.